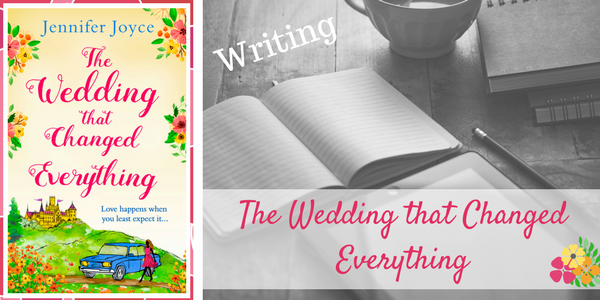 I kept a little diary while writing my eighth book, The Wedding That Changed Everything, which I'll be sharing on the blog over the next few weeks. The jubilation of last week's triumph of catching up with my word count goal seems like a distant memory, and I won't be able to claim I'm still on track this week. Far from it as there has been a spanner in the works this week. BUT this is a wonderful spanner. The best spanner I could ever have wished for! 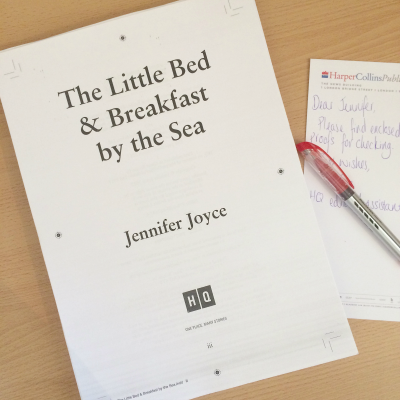 On Monday, I received a call from my editor to pass on the (flipping amazing) news that The Little Bed & Breakfast by the Sea was going to go to print, with the paperback version being stocked in Sainsbury's and on Amazon!!! I was obviously over the moon. The Little Bed & Breakfast by the Sea is my sixth novel, but the first to make it to paperback and I can't wait to hold a copy in my hands. I've wanted this to happen since I was little, so when the time comes, it really will be a dream come true! Before the paperback can happen, the book needed to be proofread and I was sent a set of proofs to check. So The Fairytale Effect [the working title of The Wedding that Changed Everything] has had to take a back seat this week while I concentrated on the proofs. They're all done now and back with my editor, so I can now pick up the reins with The Fairytale Effect again and try to catch up. It's my daughters' last week in school before they break up for the summer holidays next week, so I'll have to get as much done as I can as squeezing in writing time during the holidays can be tough!